Spend a private night in the Louvre. ENTERTAINMENT NEWS - The world-famous Louvre museum is being turned into an Air Bnb for one lucky winner for one night only on 30 April. 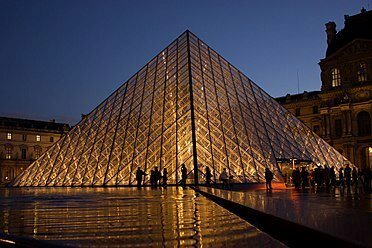 In addition to getting to stay in the Louvre itself, the winner of this opportunity will also be taken on a private, after-hours tour of the museum. “Presidents and celebrities have had this exclusive opportunity. Now it’s your turn,” enthuses the website. Anyone who has been to the Louve and fought with crowds to get a glimpse of the Mona Lisa will know how special the last reward is – the opportunity to sit in a private, specially made lounge in front of the famous painting while enjoying a drink with just you and your friends. You will then head to a space in front of the famous armless statue of the Venus De Milo where you will be treated to a sit down dinner prepared by a personal chef who will deliver “a colourful menu inspired by love and beauty, in honour of this divine goddess”. Finally before retiring to a bed under the iconic glass pyramid, the competition winner will be able to, “relax and unwind in Napoleon III’s opulent apartments during an intimate acoustic concert”. To enter, you have to answer one question: “Why would you be the Mona Lisa’s perfect guest?” before midnight French time on 12 April at airbnb.com/louvre.